Top Professor at Depopulation Summit: “No More Shrouding Our Statements in Code"
This Forum is Closed > Forum > Health, Family & Eugenics > Eugenics / Depopulation / War On Family (Moderator: HealthWyze) > Topic: Top Professor at Depopulation Summit: “No More Shrouding Our Statements in Code"
At a 2006 gathering of top globalists devoted to the “family planning agenda” under the umbrella-name “Demographic Dynamics and Socio-Economic Development”, professor of Medical Demography at the London School of Hygiene and Tropical Medicine, John Cleland, admitted to the fact that they (the group of pro-death globalists to which he himself belongs) should cease using coded language when communicating to the general public. 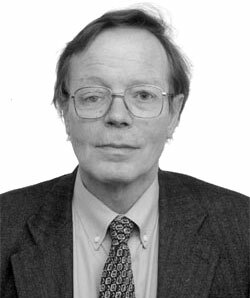 In a 2008 press release by the London School of Hygiene and Tropical Medicine, Cleland was honoured for his work on population issues. Besides, he was acclaimed for his influence “scientifically and with regards to policy. The gathering was attended by the usual suspects. Representatives were present of the United Nations Population Fund, the International Planned Parenthood Foundation, the European Commission, the World Bank and Bill and Melinda Gates Foundation. “No more shrouding our statements in code. Because code just confuses people.”, the professor said (page 33 in the document). In his speech, Cleland argued quite forcefully to do away with the Orwellian language and just come out honestly with the true mission they have set out to pursue. Now this is remarkably straightforward language by a top globalist, seldom witnessed in communiqué’s that can be readily downloaded. He is clearly advocating to abandon the coded language used by the globalists in order to sell eugenics more easily to the subjects they desire to subdue. “I put it to you that, in a world of 12 billion, the steps necessary to stabilize the world’s environment will have to be much more draconian than in the world of, say, eight billion.”, the professor impressed upon his audience.